Affordable worldwide internet coverage is one step closer following an £18 million of UK Space Agency funding having been awarded to OneWeb through the European Space Agency to aid in the development of the company's next generation satellite constellation. 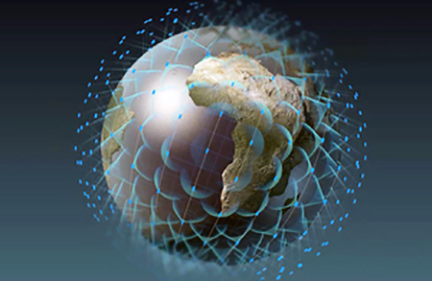 Artistic rendition of the OneWeb constellation. Image is courtesy of Airbus. A global communications network in space, the system will be initially comprised of approximately 650 satellites and will scale to more than 900 satellites over time. This new £18 million investment will go towards meeting the significant technical challenges of the project, placing the UK at the forefront of cutting-edge research and development. The commercial potential for a cost effective worldwide telecoms satellite system is huge, and the UK space sector is playing a leading role in delivering this technology, which is made possible by the UK's ongoing commitment to the European Space Agency and the UK's capabilities in space and telecommunications via the agency's modern Industrial Strategy plans. 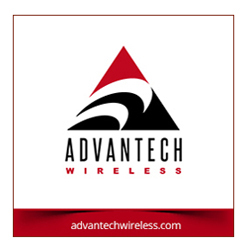 UK business OneWeb, which is headquartered in London will employ up to 200 staff at their White City offices, is poised to take advantage of cost effective spacecraft launches and manufacturing to deploy hundreds of satellites that could provide more affordable internet connectivity to people and businesses across the world. The OneWeb Sunrise program will initially focus on technologies for the next generation of satellite payloads, ground connections and space debris removal. 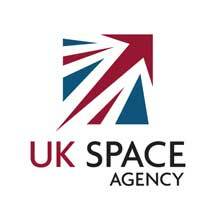 The UK Space Agency investment will also support novel automation techniques and artificial intelligence to manage the proposed constellation of spacecraft and its interaction with terrestrial networks to realize global 5G connectivity. This announcement comes as a result of the UK’s investment in the European Space Agency’s telecommunications research program — ARTES. ESA is independent of the European Union and hosts their European Centre for Space Applications and Telecommunications (ECSAT) in Harwell, Oxfordshire. 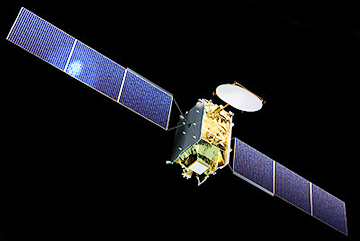 Artistic rendition of the EUTELSAT QUANTUM satellite. This news comes as the first batch of ten satellites of the OneWeb constellation are due to be launched on an Arianespace Soyuz rocket from Europe’s Spaceport in French Guiana next week, on February 26. Last month, EUTELSAT QUANTUM, the first satellite capable of being completely reprogrammed after launch, left the UK for final assembly and testing in France. In November of last year, Eutelsat and Airbus signed a new contract worth hundreds of millions of pounds that will see components and parts for two further communications satellites assembled in the UK. This means that six out of seven of the company’s next satellites will be partially built in Britain. According to the agency, the UK space sector is growing rapidly, employing 42,000 people and playing a major role in the global shift towards the commercialization of space activities — known as 'New Space'. Adrian Steckel, CEO, OneWeb, said providing access to people everywhere has been the mission and vision of OneWeb since the very beginning. The company will be able to realize this vision in part because of important partnerships such as this one with the UK Space Agency, ESA and a range of other important partners including the firm's European and Canadian partners. Thanks to this support, OneWeb will focus together on next generation technologies that will be game changers for realizing global 5G connectivity. The company is excited about the application of artificial intelligence (AI) and machine learning technologies to develop novel automation techniques that could help manage this constellation in future and ensure such is done safely and responsibly in order to protect space for future generations. Magali Vaissiere, ESA Director of Telecommunications and Integrated Applications added that Sunrise is a prominent endeavor falling under the Satellite for 5G Initiative. This represents the exciting and required new direction ESA is taking in support of Member States’ industry to remain at the forefront of the most advanced developments within the space world as well as to enable the necessary complement to the terrestrial networks that satellites will have to play to ensure a successful and fully inclusive digitization of industry and society. This ESA project will span seven nations including Canada and is an example of how the UK will continue to work across Europe and globally.